On behalf of the Film & TV department at Ryan Catholic College, we just wanted to thank you for presenting the special effects makeup workshop for our students today. The feedback from the students has been very positive and they thoroughly enjoyed the practical experience of applying makeup on each other. Amanda and I would also like to thank you for your professionalism with the workshop presentation and how wonderfully you worked with our students. It was a very educational and very enjoyable workshop for all involved. Even some of our Admin team were genuinely shocked by the authenticity of the glass shard in Patrick's forearm. We look forward to working with you again in the future and thank you once again for your talents and professionalism. - Allan Pilcher, Film & TV Teacher. I am so pleased that my friend found Nikki while helping me search for professional make up artists in North QLD. I live in a little town called Ingham without a huge selection of professional make up artists. It was just my luck that Nikki had the weekend off and agreed to come all the way from Townsville to Lucinda to do mine and my bridal parties makeup. I was very nervous as I already had a few trials and was still unsure who to use because my make up on the day was so important. 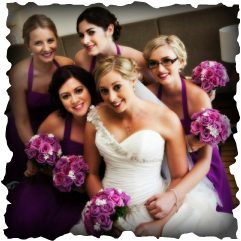 From Nikki's emails and her confident, easy going manner, my anxiety was put to rest and I was looking forward to having a real professional do my bridal parties make up. I had never heard of air brushing makeup but Nikki put my mind at ease and was able to offer me expert advice and provide me with the look that I wanted. On the day of the wedding she was so relaxed and immediately made me feel the same. She was friendly and oozed confidence, I knew we were in good hands and just relaxed and enjoyed the pampering. I have never seen myself made up like this before but the look was so natural and Nikki was right, it lasted the entire day and evening!!! After my hair and makeup was done, I went into the bathroom to look in the mirror by myself and I actually teared up for the first time that day. I was so happy! Thanks heaps Nikki, I will definitely be contacting you again when we renew our vows!!! All of us would like to say a huge thank you to the lovely Nikki! Nikki worked through solidly for 5 hours without stopping to transform the girls for our big day and we couldn't have been happier with the results, they looked absolutely beautiful! Great hair, gorgeous make up, and they all loved chatting to you while being pampered! Thanks again, we can't recommend you highly enough! 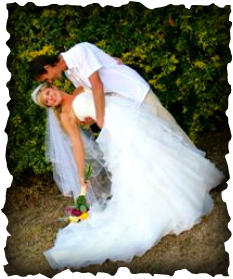 - Emmee Spall (Bride), Airlie Beach. I have worked with Nikki on two separate occasions including two completely different looks of make up. Both occasions I was absolutely blown away with how the end results turned out. It was exactly what I had asked for. It was done with such immaculate details with not a drop of powder out of place. She takes a lot of pride in her work and is very much the perfectionist. She also listens to what you request and communicates well whilst she's applying the make up. This is something I look for in a professional make up artist. Will definitely not hesitate at all in using Nikki for future events and photoshoots! A big thank you to Nikki Noodle MUA for doing my makeup and hair for my first photo shoot. The makeup looked amazing and I loved it. Also thank you to Mark Scott (Social Value Photography). I felt very comfortable with Mark and can recommend him to anybody wanting professional photos. Once again I loved my makeup and the photoshoot, you both have done an amazing job and thank you once again.